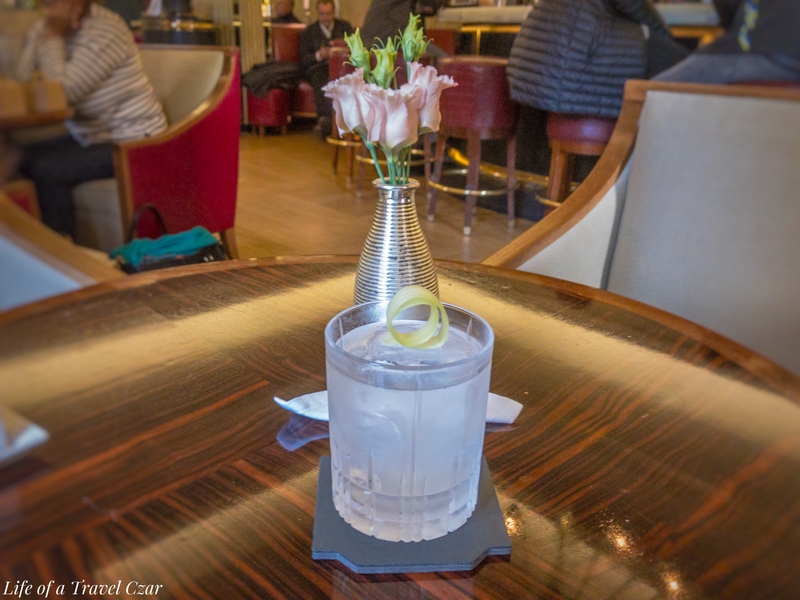 London is such a lovely city and the best way to navigate the city is to visit its stunning array of bars. On my last visit I had the opportunity to visit and old favourite and try a new one which has the most amazing view of ole London town. 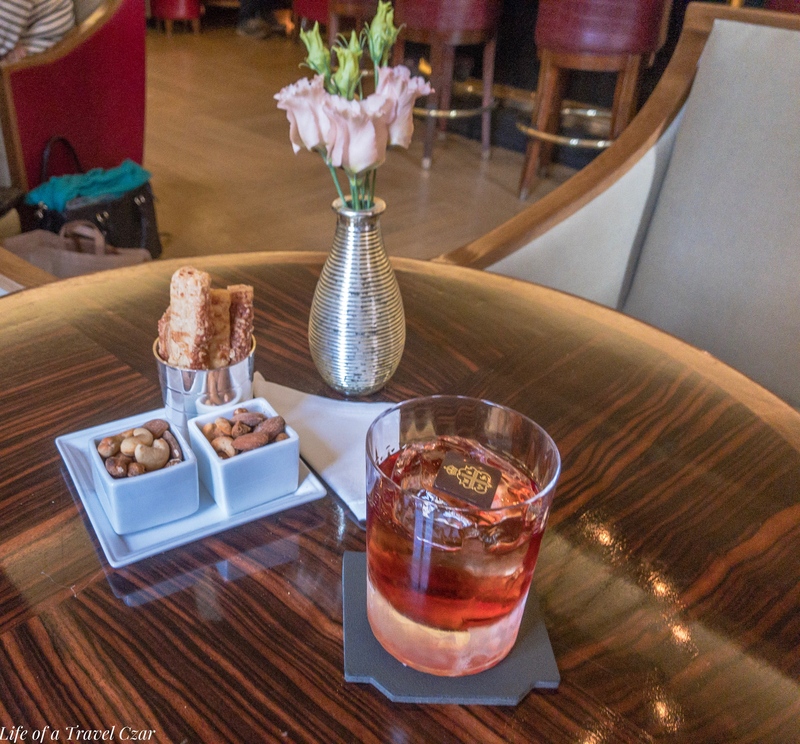 When I’m in London, I always find myself at Claridges’ Bar. It’s favourite spot in this beautiful city. 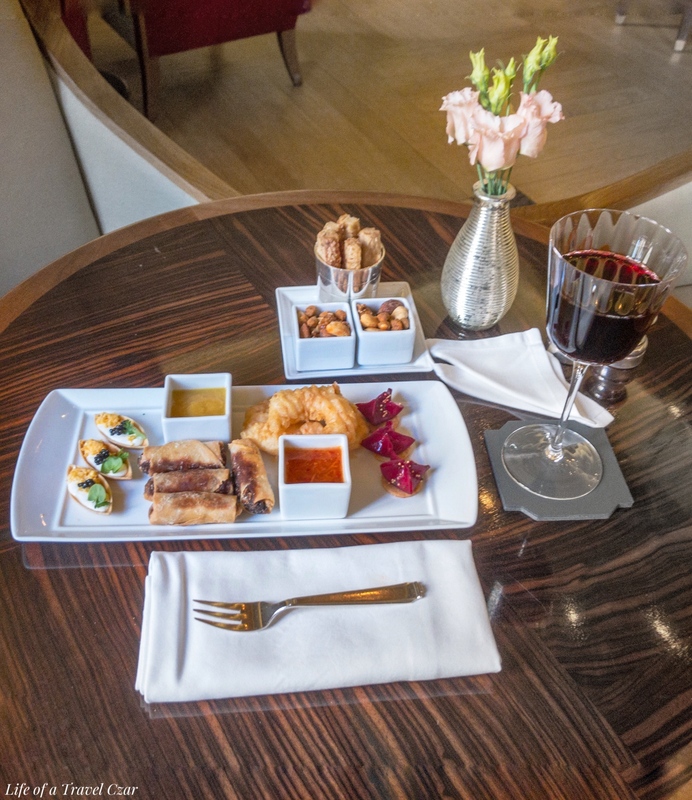 It’s chic, classy, the people here really understand service and there’s a vibe that’s second to none. I opt for The Chef’s Dozen. I swear I get this almost every time I’m there (with the odd exception). It is a selection for small canapes which fire on all cylinders. My favourites would have to be the duck rolls and the tempura prawns. They just so hit the spot!! I pair the dish with a Château Lagrézette 2016 Seigneur de Grezette Malbec (Cahors) which is quite the tonic for the afternoon. This one’s a little peach! It’s got some Dalmore 15 year old, Campari, sweet vermouth, Bénédictine, chocolate bitters and roasted almond tincture. This particular peach of a cocktail has Rutte Genever stirred with Dolin Génépi, Jack Rudy’s tonic concentrate, celery bitters and absinthe. 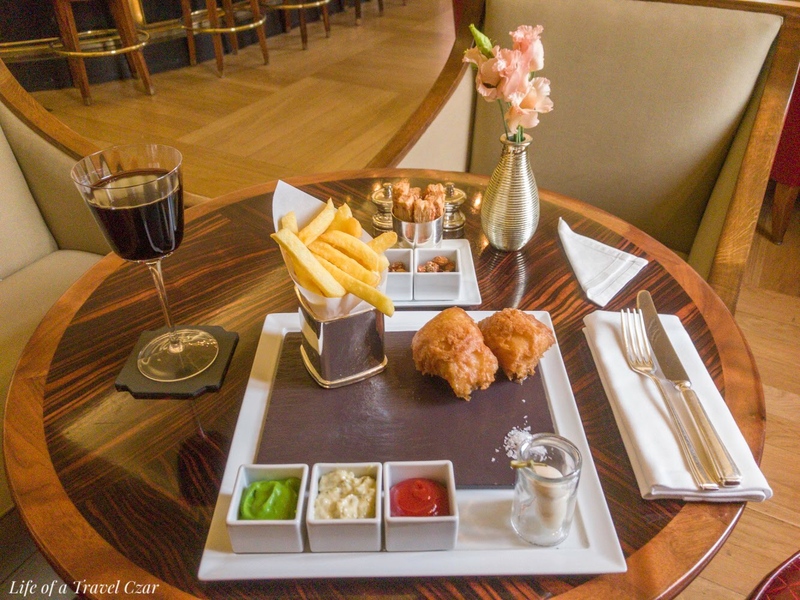 The next day before my flight back to Sydney, I head back to Claridges again where I try their famed fish and chips. The best fish & chips in London I’ll say. It’s battered sustainable cod, pickled quail’s egg and hand-cut chips with condiments and pea purée. A delicious medley of textures and flavours with the crisp batter giving way to the succulent tender fish and I have to opine; the light golden chips were perfectly cooked. I again revert to the Château Lagrézette to pair with the dish. I have another cocktail for road, one that has a little more fruit and therefore is a little healthier. This proves the perfect refresher for the afternoon. 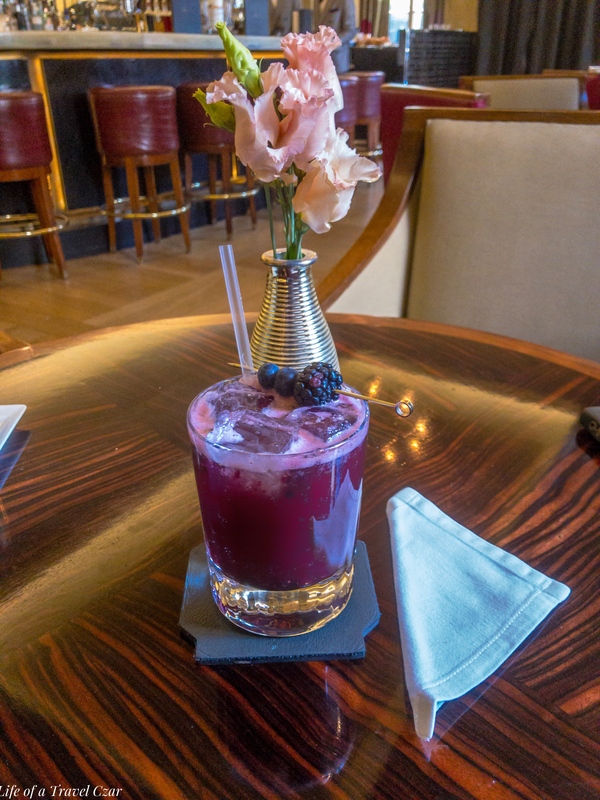 Fresh blackberries and blueberries muddled with Żubrówka Bison Grass vodka, Chambord, crème de cassis, pink grapefruit and lemon juice. The background tune is “Message to My Girl” by Split Enz. I do not own any rights to the song. The next bar I visit is GŎNG at Shangri-La at the Shard. It’s a rooftop bar with panoramic views of London. I get a seat near the window and take in the view. 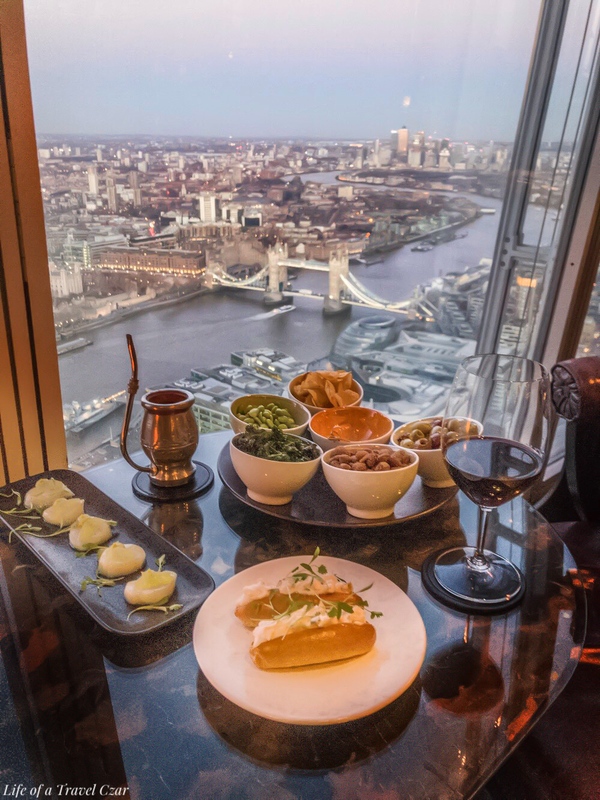 I have a beautiful glass of wine, some lobster rolls, scallops carpaccio, some nibbles and a cocktail and enjoy the view over London as the sun sets on my final day in London. The view is amazing and the lobster rolls were on point. It’s difficult to gauge the view from that photo given the sun had almost but this video shows the full experience of the food and view. The background tune is from ‘Shooting Stars’ by Bag Raiders. I do not own any rights to the song.